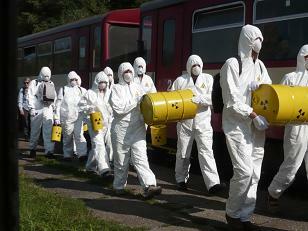 Calla together with Hnutí DUHA, continued publishing a newsletter on nuclear waste titled NUCLEAR WASTE? NO THANKS! (the magazine is edited and published by Calla; Hnutí DUHA contributes to the contents and mails the magazine out). The two issues per year were mailed mostly to places threatened by the repository development, and to regional politicians. Two thematic e-mail conferences will also be used for communication. A facebook page “Atomový stát” has been set up. 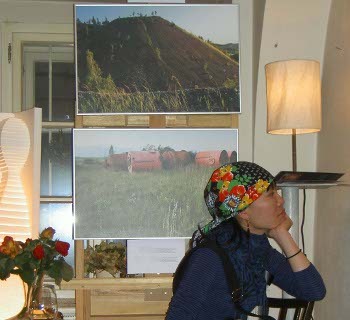 Moreover, Calla organized a tour of the exhibition of Václav Vašků's photographs called "Faces of Uranium" around places threatened by continuing extraction which points out the consequences of uranium mining. 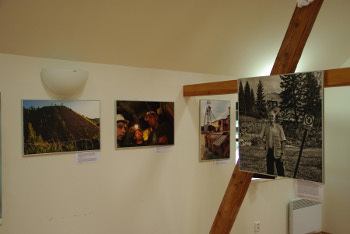 More Pictures from the exhibition: www.fotomat.cz/uranium. Calla in cooperation with Hnutí DUHA is going to prepare a web page and a e-mail newsletter on Smart Energy (www.chytraenergie.info). A lot of public discussion about this topic has taken place, e.g. a discussion with experts from Germany and Czech republic „Germany without nuclear power plants – how about Czech republic?“ was organized in May 2011 in Prague (see photo gallery). company to enlarge Temelin nuclear power plant. year. 2010/2011 2 more issues were published and distributed (the first issue was distributed to 18 000 hoseholds, second issue into 33 000 households). in the EIA process concerning new nuclear blocks in Temelin. These activity is planned to go on next year.